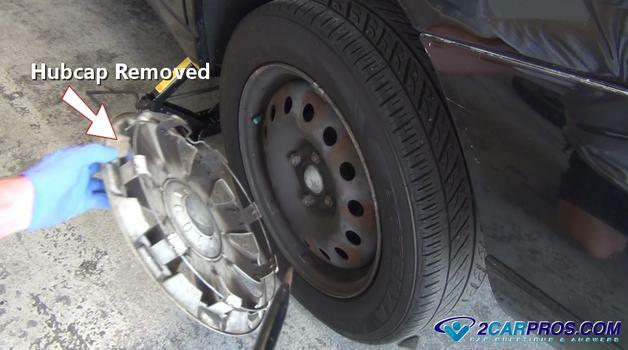 Do you need to remove your car wheel to do other repairs? 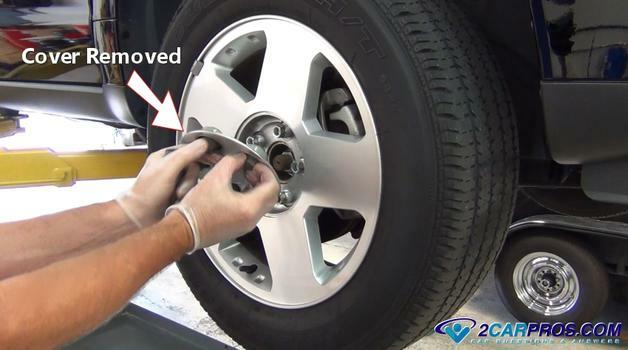 You have come to the right place, we are a team of ASE certified master mechanics that will show you the proper way to remove your wheel (rim and tire) without hurting your back or stripping or breaking the wheel studs and lug nuts. Once the repair is complete you will reinstall the tire back onto the wheel hub or axle flange, that's where our guide comes in. 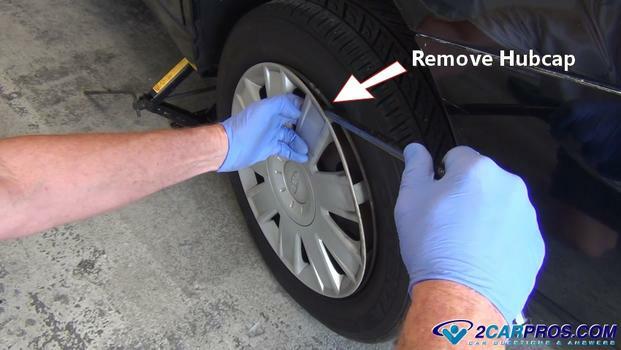 Many car repairs involve removing the tire to gain access to replace other parts so it will need to be taking off and put back on many times, its a good idea to know how to do it correctly. The safety of yourself, family and friends depend on the proper installation of the wheel not the mention damage that can occur to your car if the wheel falls off. You will need tools and supplies which can be found in your dad's or grandfather garage. If not, its a good idea to start your own toolbox so you can learn how to be self sufficient at car repair with the help of 2CarPros and our repair guides. We are here to help and answer any of your car repair questions you may have for free. Amazon is a great resource for many high quality parts and tools which you will need to save money over your lifetime of driving. Before you begin you will need to know how to jack up and raise your car correctly without damaging the undercarriage. This is important because if you jack the car in an incorrect manner you will cause more damage than good costing you more time and money. Before jacking the car upward and off of the ground you will need two blocks of wood to install on either side of the tire at the opposite end of the car being raised. This is because if you lift the car from the wheels that are holding it in place (drive or emergency brake wheels) the car could roll away if it's on a slight incline. In other words if you have a rear wheel drive car and you jack both rear wheels off of the ground the front wheel will allow the car to move because there is nothing stopping it, they roll freely. The rear wheels hold the car in place via the transmission being in park or emergency brake being on. Start by having the car on level ground before jacking it upward. This will stabilize the car while preparing the wheel to be removed. 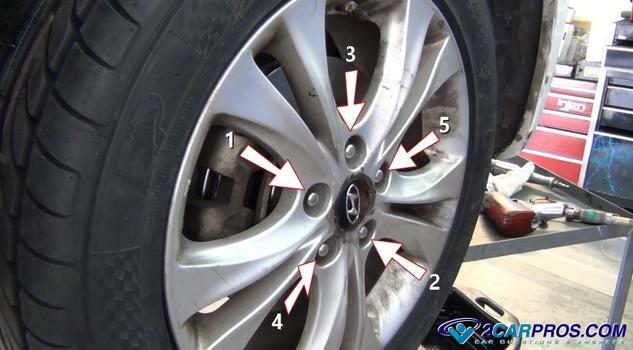 There are typically two types of wheel covers which hinder the removal of the lug nuts. The first is the complete hubcap which needs to be removed to access to the lug nuts. 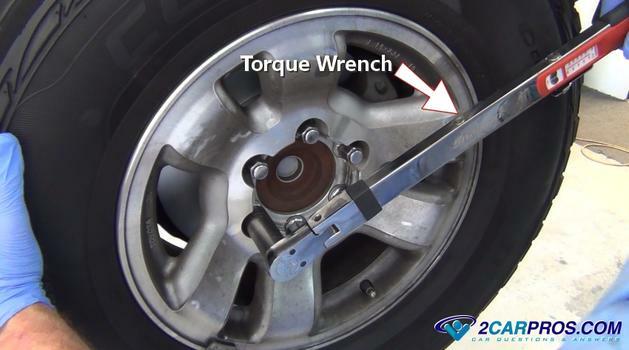 Using the opposite side of the vehicles lug wrench or a large flat blade (standard) screwdriver wedge the tip in-between the cap and the rim of the tire. This will start releasing the grip on the hubcap spring loaded clamps which hold it onto the inner part of the rim. 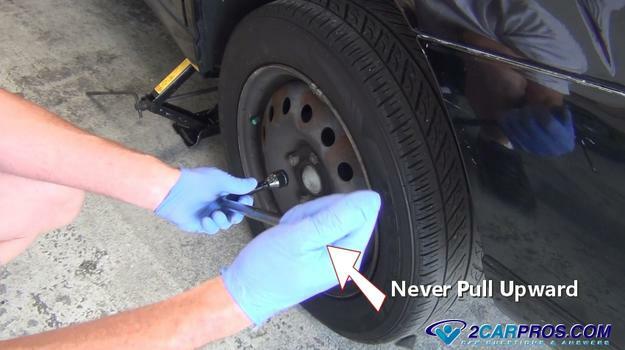 Twist the lug wrench or screwdriver back and forth which will help in the removal process as you follow the cap around. Work around the cap until it is fully removed this will expose the lug nuts holding the rim onto the bearing hub or axle. A hubcap is made of plastic and can break if you are not gentle with it so take your time and pull it outward easily. 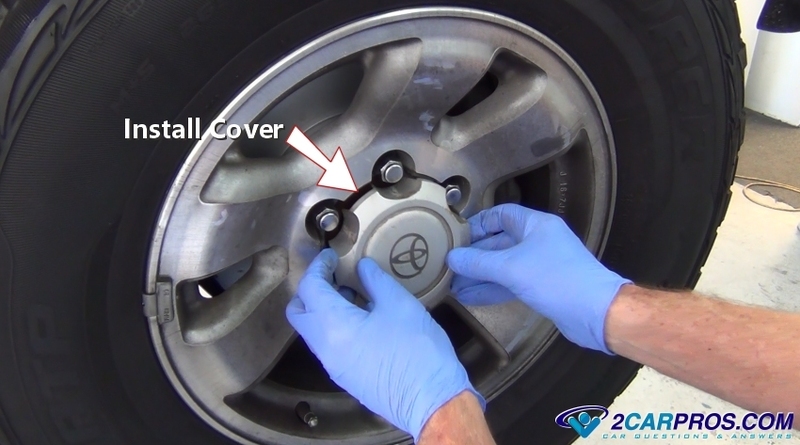 Here is an example of a lug nut cover on an aluminum wheel which has plastic covers over them which must be removed to access. These plastic covers are made to resemble lug nuts and actually thread onto the metal ones that hold the rim on. Each of these must be removed before the center cap will come off. This is what it looks like once the center cap has been removed with the nuts behind it. This cap can also be held on a by a signal screw or small bolt. 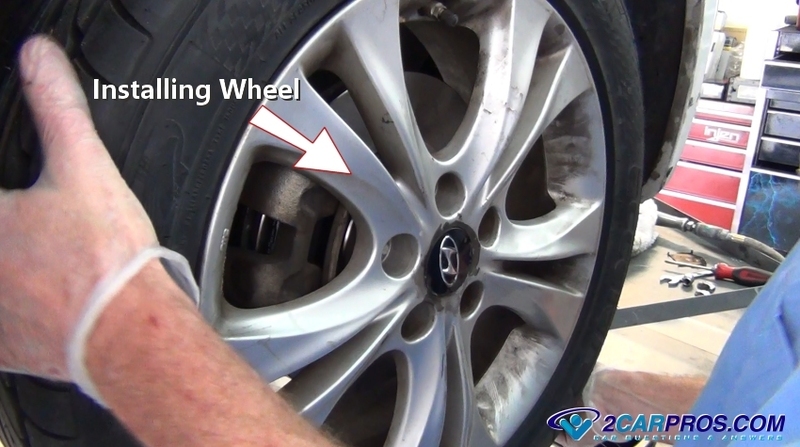 This style of wheel has the lug nuts already exposed and is ready for removal without any additional preparation. You can find this style on alloy or aluminum wheels which is more decretive. Some manufacturers have a wheel lock which is usually inside the car located in the glove box or in one of the door side compartments. This lock is a specialized socket that will only fit the particular car it is made for. If this lock is lost you will need to contact the dealer and provide the VIN number to get a replacement. 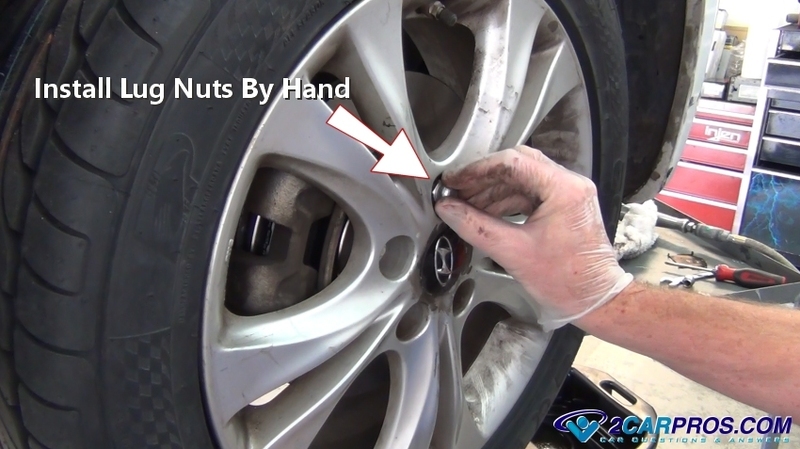 The first step in removing the lug nuts is obtaining a tool capable of doing so. This could be a lug wrench which is supplied in most cars by the spare tire. If you are unable to locate the spare consult your owner’s manual this should be in the trunk or glove box. 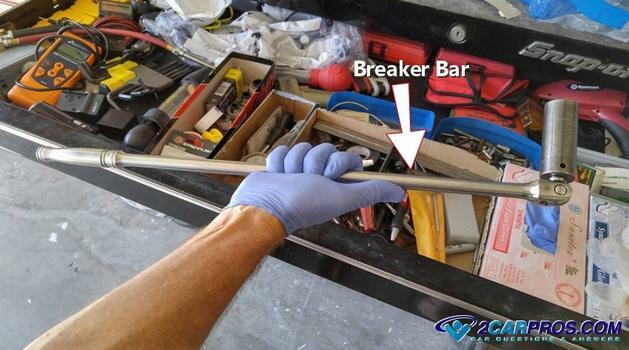 Most mechanics prefer to use a breaker bar which is basically a large socket wrench that will give you additional leverage over a traditional wrench or socket and ratchet. This bar is usually not included in a typical tool set and will need to be purchased separately along with a set of 1/2 drive deep well sockets. Wheel lugs sizes can be 17mm, 18mm, 19mm, 21mm or 3/4 or 13/16 in most cases. To remove the lug nuts you are going to turn them counterclockwise. These nuts will be tight so be ready, one thing you want to never do is pull upward on the lug wrench this will cause pressure to your lower back and cause pain as the muscles get pulled in a direction they are not used to. This takes the fun out of the repair job. While the tire is still touching the ground, you are ready to break the lugs loose. The reason for this is the tire will want to rotate as you apply pressure downward to break the nuts loose and if it is off the ground it will be difficult to hold it still. You can "set" the jack in place and lift the car slightly, this will allow the suspension to travel downward but not enough to lift the tire off of the ground. 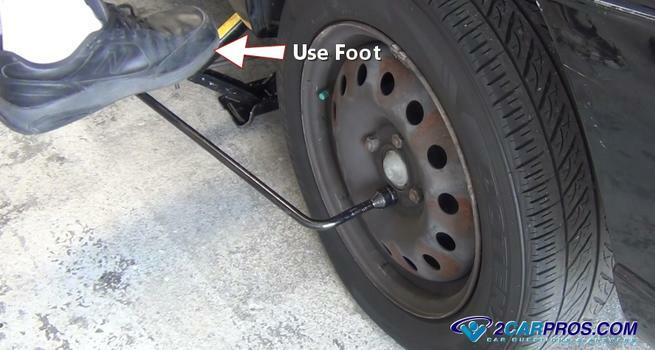 While the tire is touching the ground apply downward pressure to the lug wrench while holding the pivot point steady. If the lugs are super tight try using your body weight and bouncing on the wrench this will increase the pressure exponentially. Some lugs can be rusted or the mechanic that tightened them on last time had the impact wrench turned up to high and super tightened them. In this case you may need to use your full body weight and step on the lug wrench. 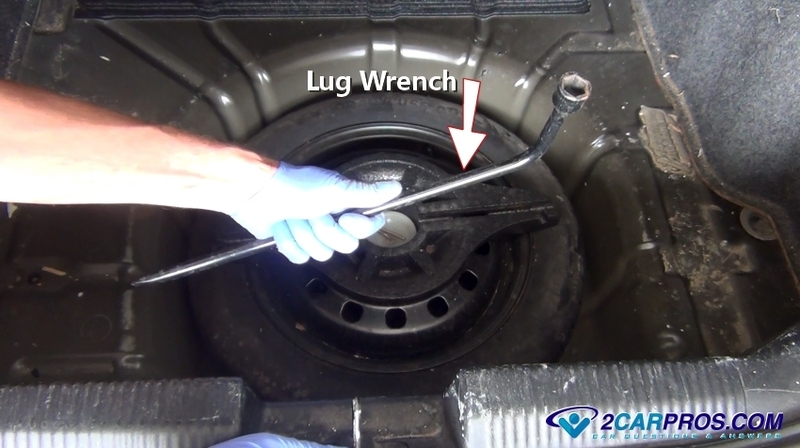 Make sure the lug wrench or breaker bar is on the nuts fully to avoid rounding. 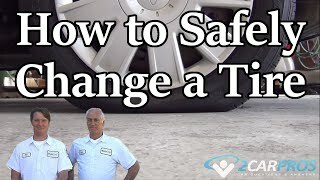 Be careful doing this because there is much more pressure being applied and things can get out of control like the lug wrench flying off and hitting you or someone else. 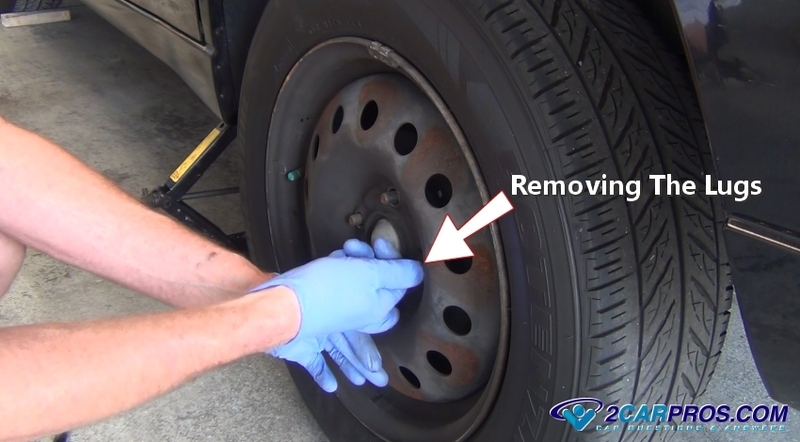 Continue breaking the lugs loose until all of them have been done and have been turned about one full turn This will unsure that once the tire is in the air you will have no problem completely removing the nuts, do not remove the nuts fully at this time. 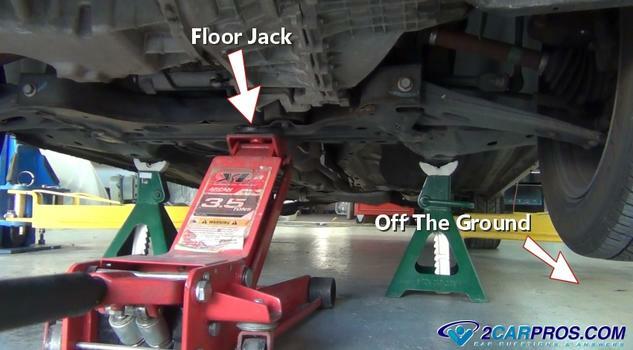 Now you can finish lifting the car until the tire is no longer touching the ground, in this instance we are using a hydraulic floor jack which is more stable than a scissor jack that is supplied with most cars. The vehicle is then stabilized with jack stands, never get under a car without these stands for safety. Now you can continue to remove all of the lug nuts either be hand or using the lug wrench or breaker bar. At this point you can even use a regular socket and ratchet set up. One thing to point out is on some European models such as Mercedes Benz, BMW and Porsche will use lug bolts which when removed will allow the tire to fall because there is no wheel stud to hold the rim in place so be ready to grasp the tire. Once all of the lugs have been remove the tire will be loose, grasp it and pull it from the wheels studs. If repairs are being done lay the tire flat and slide it under the car for an added measure of safety, do not hit the jack stands with the tire. 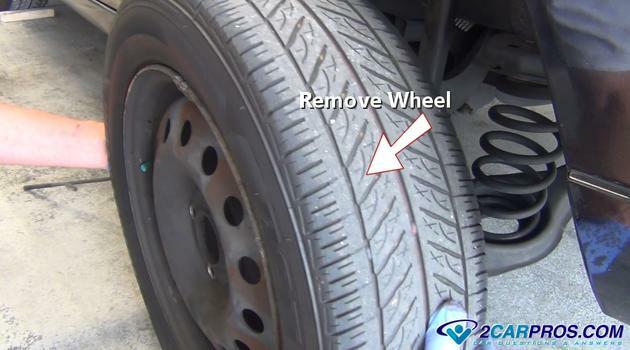 Now is a good time to inspect the tire's wear pattern, also check the tire for nails and cuts which can hinder its performance. If the tire needs replacement its best to have it done by a shop because removing the tire from the rim is difficult and requires a machine to do it in most cases. After said repairs have been completed it is time to reinstall the tire and rim back onto the car. Before this can be done it's a good idea to inspect the threads on the wheel studs located on the axle flange, hub or brake rotor. 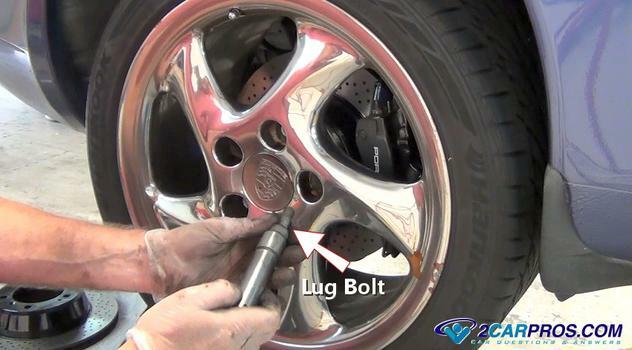 You should also check the lug nuts themselves and replace any that are damaged. 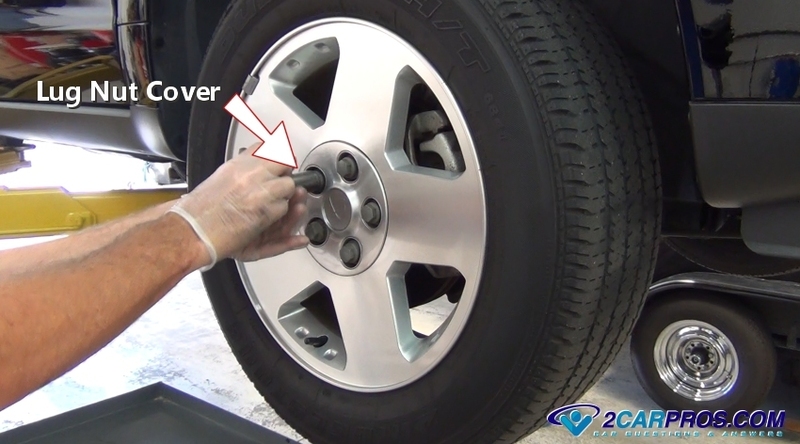 Also wipe the mounting surface free from dirt or grease before the wheel is reinstalled. 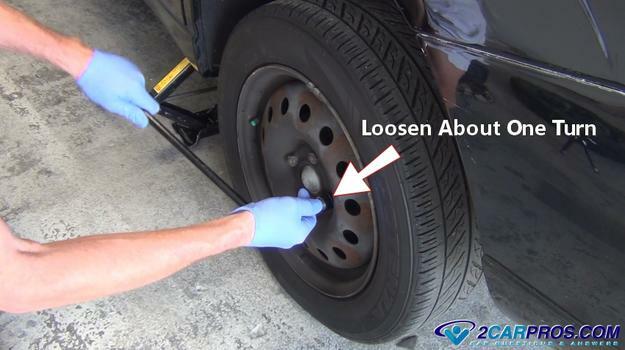 After a successful inspection or car repair grasp the tire and gently reinstall it onto the wheel studs as to not damage the threads. Some European cars you will need to hold the tire in place on the wheel hub and then try to align the rim with the threaded lug bolt holes before installation. You may need to jockey the rim around to line up these holes (Some lug bolts are already installed in the image below). Once the rim is sitting on the wheel studs push the wheel until it rests flush against the rotor or drum flange. Install the lug nuts onto the studs by turning them clockwise. 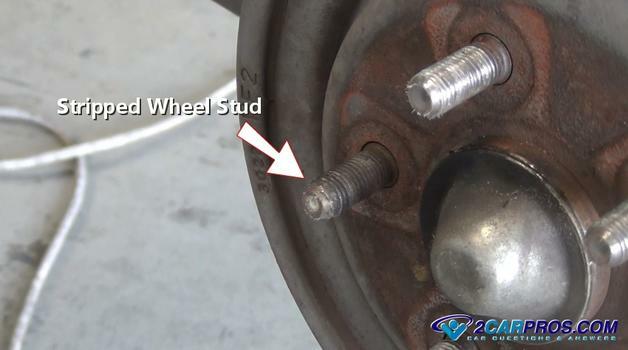 Do not start the lugs with a socket and ratchet, air tool or electric impact gun because this can cross thread the lug nuts and ruin the stud and nut. Start the initial tightening by following a star pattern. This will ensure the wheel to be tightened evenly which will avoid warping the rim, brake rotor, drum, hub or brake drum. You can use a normal ratchet and socket for this while holding the tire by hand. In the next step the wheel will be tightened completely. Now, lower the car just enough for the tire to touch the ground and hold it from spinning while it is being tightened. Use a torque wrench and set it to manufacturer's specifications which are usually 70 to 90 pounds for passenger cars, and 100 to 120 pounds for pick up trucks and larger SUV's. Finish tightening the lugs in a star pattern while listening and feeling for the wrench give and click signaling the proper torque has been achieved. If a torque wrench is not available, tighten the lugs evenly in a star pattern, go over the lugs twice to ensure they are all tight. After the wheel has been tightening reinstall the hubcap or lug nut cover. Some of these covers will have a timer in the form of a notch or groove that will sit in the appropriate spot in the rim. A complete hub cap with have a relief for the valve stem so take note and install it correctly. Be careful not to hit the cover too hard as it is plastic and it will break. Once the job is complete listen for any strange noises while being driven. A loose wheel will make a clicking or ticking noise when rolling at low speeds. 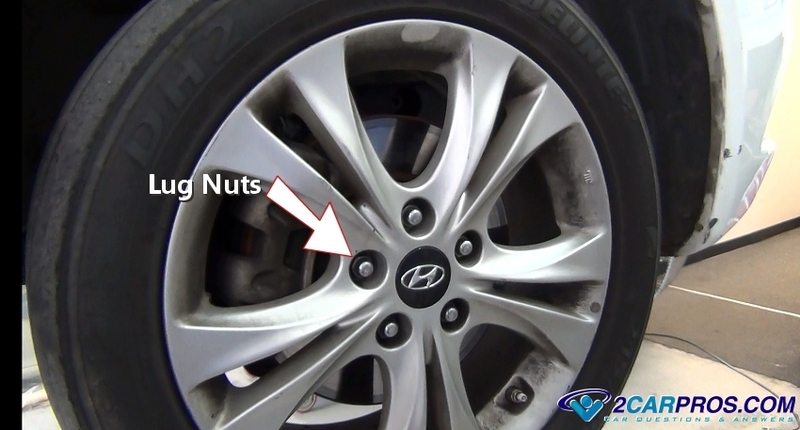 It's a good idea to recheck the lug nuts after a day or two of driving to make sure they are secure. 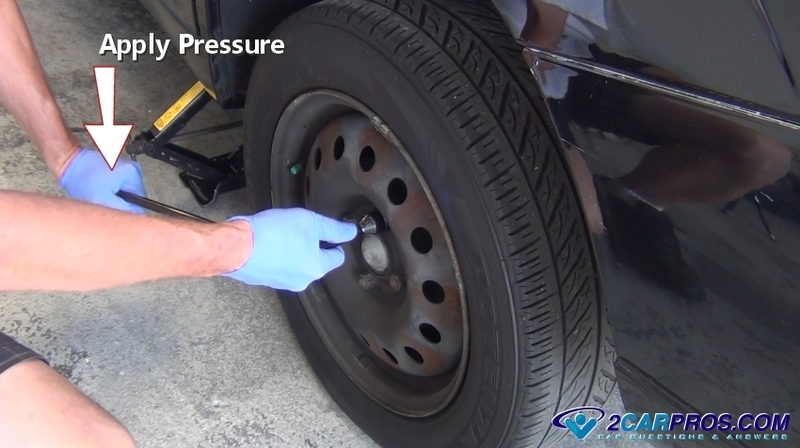 After installation is complete check the air pressure in tire, this will help the tire last and perform its best for years to come. If you would like to ask a question about wheels and their installation or removal please visit our forum where our community of online mechanics and car enthusiasts will help you for free.